Can you believe it’s March already? Where have the first 2 months gone? March is a wonderful time to get ready for Spring. For many of our European friends and the freezing cold they’re experiencing, this seems like months away. 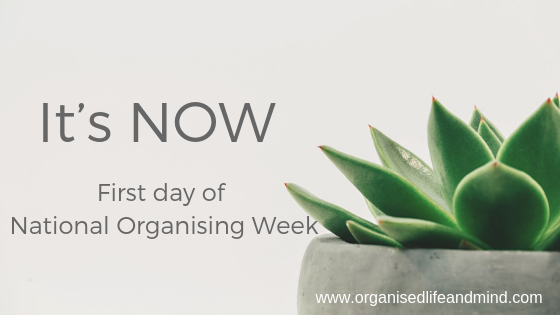 To help you prepare for summer and all its fun activities, now is the right time to declutter and organise your life. 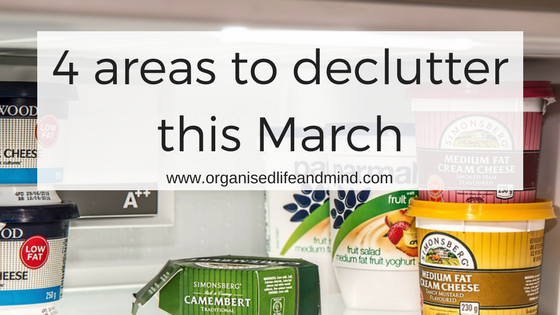 We’ve prepared 4 areas for you to tackle this March! What’s all in your handbag? Is your husband or partner rolling his eyes whenever he sees your handbag? Are you complaining about how heavy it is? Did you know that the average handbag weighs 6.27 pounds? That’s just the handbag. If you’re anything like me, you may also carry a laptop bag, your gym bag and a bag with your lunch. Wow! That’s a massive weight to carry every day! 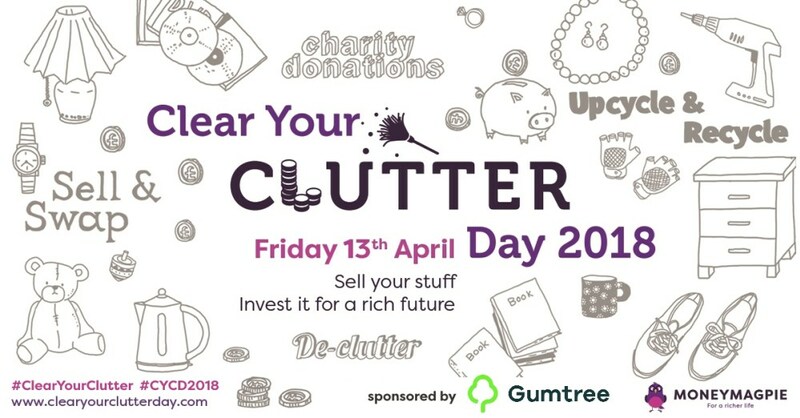 I’d say: It’s time to clear out your handbag! Can you ever have too many make up products? 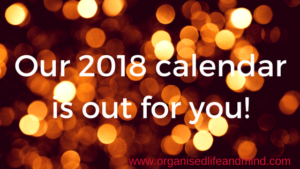 Decluttering and organising a bathroom is probably one of the fun-filled activities for Organised Life and Mind. We may not spend a lot of time there. Yet, getting ready in the morning, applying the make up, preparing for the day ahead, is such a crucial time. How often are you looking for your favourite make up in the mornings? A recent client was sick of searching for her make up and not knowing how much she all had. Our session was a fun filled afternoon, which probably sounds surprising for you. Not often do people think of organising as a fun activity. What was different here? This week has been a fun filled week in Hong Kong. My study buddy Fernanda and I loved our course given by the wonderful Eve. Learning about colours and style during the day was so inspiring! Fernanda and I applied our knowledge in the evening, venturing through the myriad lanes and small shops before stopping for delicious dinner and drinks. 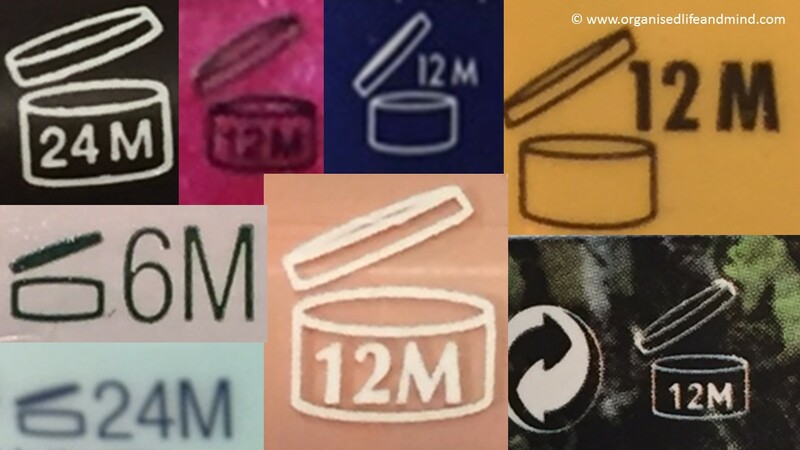 Following the theme of this week, I wanted to write about the expiration dates of cosmetics. Do you know when to toss your make up? The little symbol of an opened jar with a number tells you for how many months you can use a product after its container has been opened. Wouldn’t it be great if all manufacturers used it? Unfortunately not all do. This timeline comes in really handy!